Are you always looking for ways to satisfy that never-ending sweet tooth? On Friday, February 2, It’Sugar will open their doors at Easton Town Center. The new shop is located in Easton Station Building on the first level. At this point, I’d be really disappointed in myself if I didn’t provide you with the perfect soundtrack to this story. Good luck getting that out of your head! Now that we’ve got the right vibe going, let’s get to know It’Sugar a little bit better. It’Sugar is a nationwide candy emporium, with locations from coast to coast. However, the Easton location is only the second store in the state of Ohio. 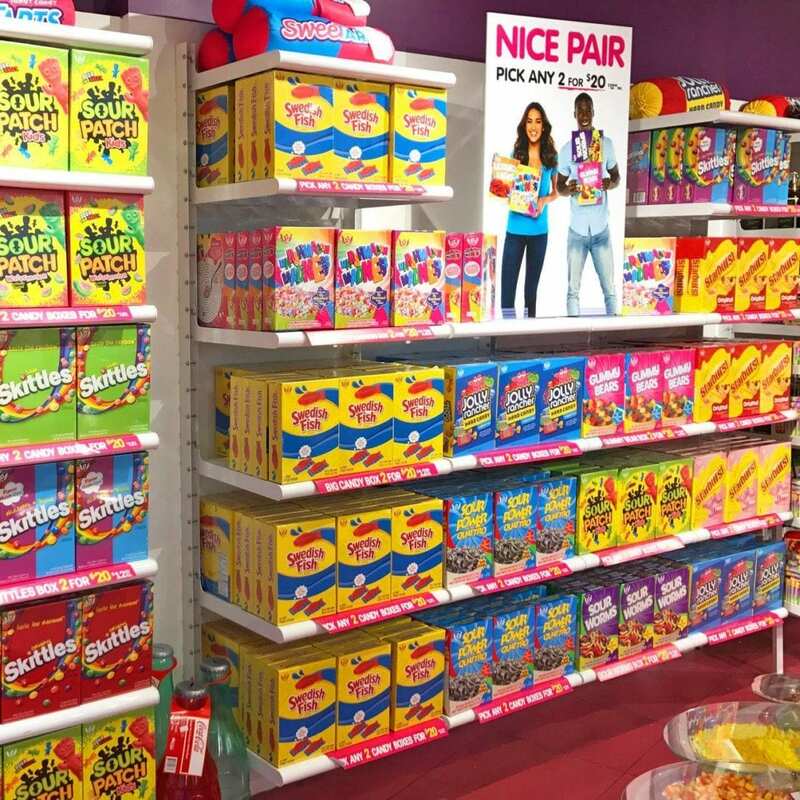 The candy store is known for selling oversized candies that are right out of your candy-loving dreams, as well as regular sized candy, novelty candies, candy-inspired fashion apparel, accessories, and novelty gift items. The candy at It’Sugar isn’t exactly cheap. The big boxes of candy are currently on sale, 2 boxes for $20. Although you can find several novelty items around the shop for less than $10, they also sell GIANT candies with much larger price tags. For instance, you can be the proud owner of this 27 lbs, $179.99 Gummy Bear. Or perhaps you’re more of a “world’s largest gummy worm” kind of person. Honestly, it doesn’t matter what sort of oversized candy you’re looking for. It’Sugar probably has it. Chocolates, sour treats, sweet eats, you name it. Once the store opens, their hours of operation will be Monday through Thursday from 10 a.m. to 10 p.m., Friday and Saturday from 10 a.m. to 11 p.m., and Sunday from 12 p.m. to 8 p.m. I know this is all very exciting, but just remember to pace yourselves. A 27 lbs gummy bear is definitely not meant to be consumed in one sitting.